New in June 2018! The previous keel has been replaced with a standard keel of 2.10m. 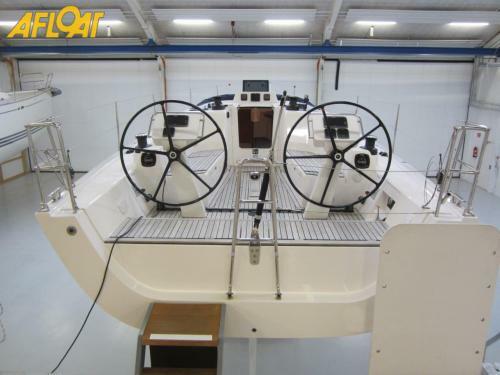 This boat is practically new and very well-equipped with a carbon mast, carbon furler boom, 5 electric winches and 3Di North Sails. 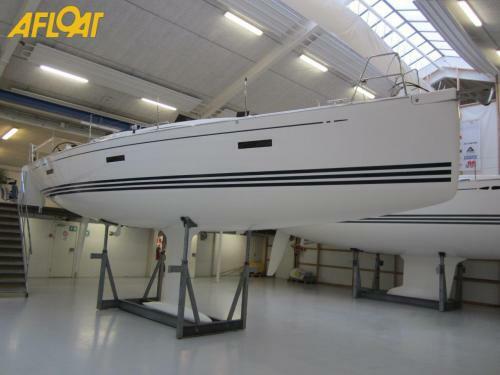 The boat is displayed in our showroom in Haderslev. X Yachts Xp 38 was nominated for Boat of the Year, with one judge commenting: “The main reason you own this boat is because you love sailing. Seeing it underway, it just lights you up.” (Tim Murphy, Cruising World, testing X Yachts Xp 38). This Xp 38 has gone through a thorough inspection by the X Yachts Service Department, dedicated to renovating pre-owned X-Yachts. The standard of the Xp 38 they prepare is amongst the very highest in the industry. For more information or to arrange a viewing please contact Stuart Abernethy at X-Yachts (GB) LTD.
X-Yachts (GB) Ltd. offers the details of this vessel in good faith but cannot guarantee or warrant the accuracy of this information nor warrant the condition of the vessel. A buyer should instruct his surveyor to investigate such details. This vessel is offered subject to prior sale, price change, or withdrawal without notice.